Star ratings are a really helpful way to easily gauge a reviewer’s enjoyment of the book, but I’ve found that everyone assigns ratings differently. I developed my rating system below as a way to help streamline my ratings and hold all books to the same standard. Please keep in mind that these are my object opinions and that my negative reviews are constructive, and I do my best to list positives about every book that I read. ★★★★★ – 5 stars, I loved this book and intend on shouting from the rooftops on its glory. Typically these are reads that I have difficulty putting down, that both make me think and sweep me away to another world. I recommend that you drop everything and pick up a copy now. ★★★★ – 4 stars, I really enjoyed the book that I recommend buying but not necessarily drop everything for. ★★★ – 3 stars, a good read that overall I found enjoyable but there was room for improvement. Since books are so subjective, I often list reasons that 3 star books weren’t for me but very well could be for you! If after that list you are still on the fence, perhaps check it out at your local library first. ★★ – 2 stars, it was okay but has a lot of room for improvement. Often times there are plot holes that, for me, detract from the overall story and make it difficult for me to remain engaged, sometimes it is poor pacing or character development. But the book has something that kept me reading to the end. ★ – 1 star, I did not like the book at all but I did finish it. 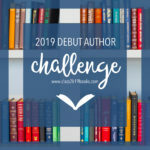 DNF – did not finish, I make an effort to finish every book that I begin but in the event that I cannot I will be sure to let my readers know why. I don’t give star ratings to books I do not finish unless it is for problematic reasons.